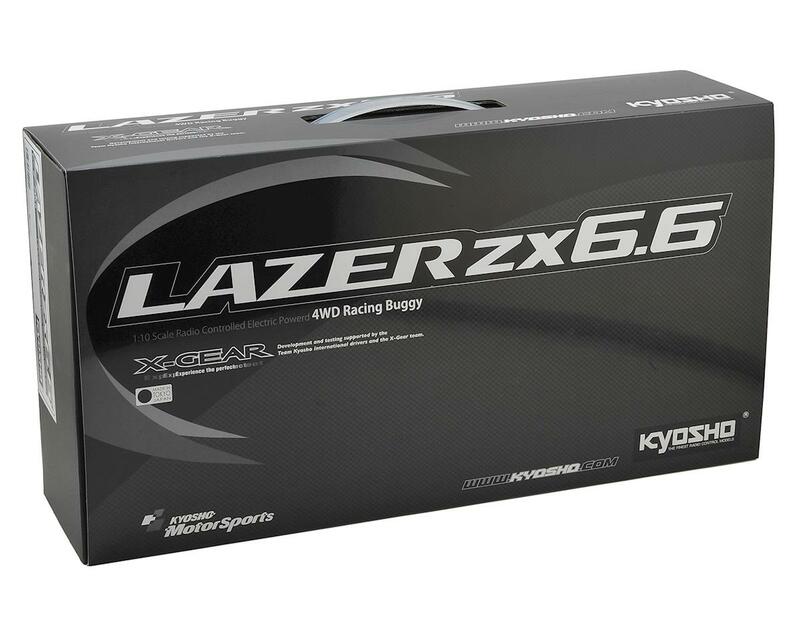 The ZX6.6 is designed to meet the increased demands of the modern racing scene for more power and higher grip. While maintaining the control response and maneuverability the ZX6 is renowned for, the ZX6.6 has undergone subtle changes that allow the machine to maintain its edge on the track. For increased traction and stability on high grip surfaces, the optional aluminum HD main chassis is included as standard. Changes around the center gear from the slipper clutch to the diff realize smooth traction on all road surface conditions for superior surface tracing and control characteristics. In addition, the introduction of the gullwing type rear arms from the ULTIMA RB6.6 allows longer shock stroke for improved surface tracing through corners and performance over surface gaps. These changes combine to lift the overall performance and result in a improved total balance of the machine. If your focus is on race victory, the ZX6.6 is the perfect choice. No Upper Deck: Upper deck-less structure allows superior maintenance and setting characteristics for the ZX6.6 to deliver its best performance with the minor enhancements in this model. Aluminum Chassis: 15g heavier than the standard ZX6, the high pitching rigidity of the aluminum HD main chassis is included as standard. Realizes excellent running stability and traction performance. Gullwing Arms: Adoption of the gullwing type rear suspension arms from the ULTIMA RB6.6 and 5 shock mounting positions (increased from 3 in the ZX6), provides wider scope for setting adjustment. Center Gear Diff: Multiple setting options allow precision setting of traction level by adjusting the oil viscosity on the center diff unit, which is included as standard. Adjustable Motor Positions: Choose either forward or back mounting position for the center bulkhead and weight of the motor to adjust traction control. Adjustable Battery Positions: Choose forward or back mounting position for the center midship motor as well as short or separate battery mounting configurations. Big Bore Shocks: Velvet coated surface of the aluminum Big Bore Shocks deliver smooth movement for superior traction and durability. Aluminum Steering Crank: High rigidity aluminum steering crank system provides linear steering feel. 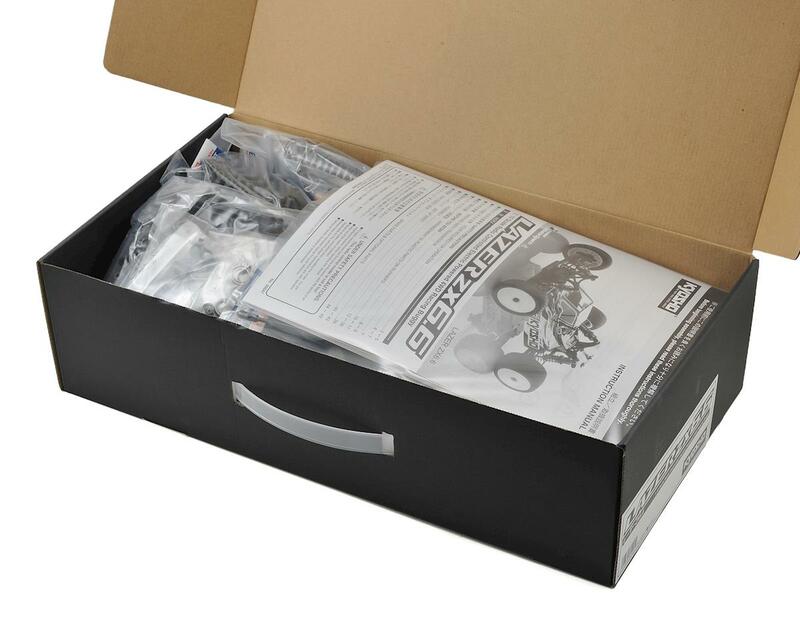 Steering servo can be set either in longitudinal or horizontal positions. Cab-Forward Body: Forward cabin type body with superior steering and downforce from rear wing deliver effective off-road stability. I love my ZX6.6 not sure why people think the front end is weak I haven't had a problem yet! 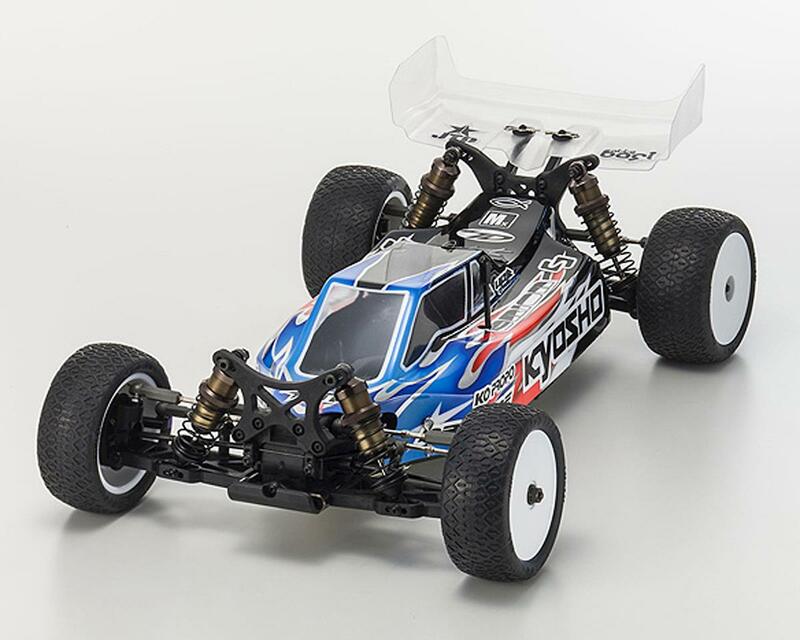 Car is amazing on high grip surfaces and really good on the low grip outdoor tracks! Remember you get what you pay for! Nice car, but center gear diff blows out. It needs to be aluminum casing. The front end of the car is brittle as well. For the price, I would expect more.